Your Honor, in the winter of 1972 R and I broke up, or I should say he broke up with me. His reasons were vague, but the gist was that he had a secret self, a cowardly, despicable self he could never show me, and that he needed to go away like a sick animal until he could improve this self and bring it up to a standard he judged deserving of company. I argued with him - I'd been his girlfriend for almost two years, his secrets were my secrets, if there was something cruel or cowardly in him I of all people would know - but it was useless. Three weeks after he'd moved out I got a postcard from him (without a return address) saying that he felt our decision, as he called it, hard as it was, had been the right one, and I had to admit to myself that our relationship was over for good. One of the best things about being a BookBrowse book critic is gaining advance notice that a favorite author has written a new book. 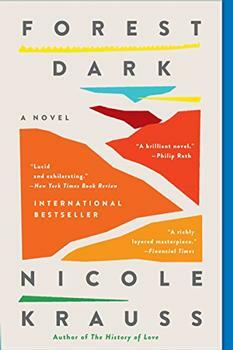 Which is why, as soon as I learned that Nicole Krauss had a new novel slated for release, I jumped at the opportunity to review it. I have been a fan for a while and couldn't wait to read her latest. She did not disappoint. Great House possesses the same inventive, graceful prose that she's known for. (Reviewed by Donna Chavez). [M]editative, insightful prose that makes for an intense and memorable reading experience. Brainy and often lyrically expressive, but also elusive and sometimes infuriatingly coy; Krauss is an acquired taste. Starred Review. This stunning work showcases Krauss's consistent talent.... Much like in Krauss's The History of Love, the sharply etched characters seem at first arbitrarily linked across time and space, but Krauss pulls together the disparate elements, settings, characters, and fragile connective tissue to form a formidable and haunting mosaic of loss and profound sorrow. Starred Review: Krauss’ masterful rendition of character is breathtaking, compelling.... This tour de force of fiction writing will deeply satisfy fans of the author’s first two books and bring her legions more. are presented in a straightforward manner, which allows the 'real' and the 'fantastic' to be accepted in the same stream of thought") there is in her books an element of the magic that exists in everyday life. These occurrences are no less magical for being easily written off as coincidence, or ascribed to déjà vu or the smallness of the planet.